At Mazda, we want our customers to enjoy a pleasant and safe drive even in the snowy season, and it’s with this goal in mind that we conduct tests tailored to cold weather conditions at Kenbuchi Proving Ground in Hokkaido, Japan. Whether it’s a development test for a driving safety system on snow-covered roads or a quality improvement test for a piece of technology that mitigates damage from snow or ice, Kenbuchi Proving Ground is fit for purpose. How is such a high quality test course maintained? It’s all about ground conditions. First, we shovel snow using a rotary snowplow. This is done regularly to smooth out the course and whenever snow falls during the winter testing period. Next, we maintain good road conditions by using a wheel loader to remove snow and level the surface after tests. In order to keep up the quality of the areas that are laid thick with snow, we go over them before tests for a final polish. With car technology moving fast, it’s becoming ever more important to ensure good ground quality ahead of winter tests. Also, the quality of the snow is changing every year, and if the surfaces aren’t levelled properly it becomes impossible to conduct winter driving tests. In the past, snowfall was predictable and the temperature consistently dropped to around minus 20-30 degrees, but recently there have been years when very little snow settled or when it rained through the testing period. This makes it increasingly difficult to manage the test course. 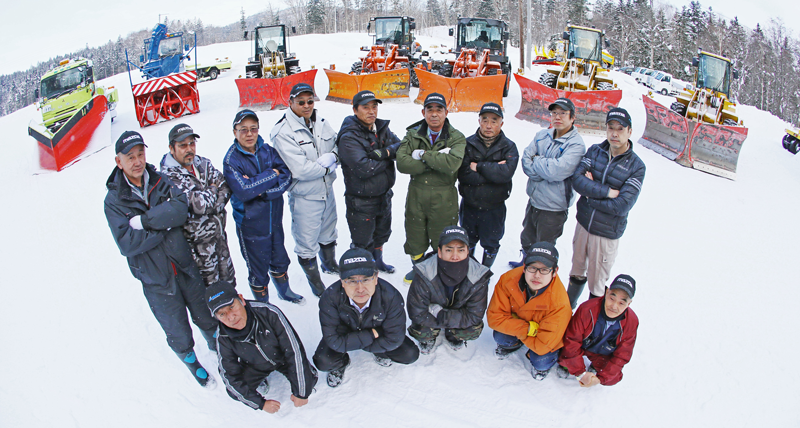 Taking on this challenge of maintaining the proving ground and creating the test paths are the staff at Kanchigiken, a local company in Kenbuchi. Preparations for work on the proving ground start in early summer when there certainly isn’t any snow. During these months, Kenbuchi Proving Ground actually becomes a public forest road for local residents, as Mazda only has permission from Kenbuchi town to use the area as a test course in winter when heavy snow makes it impossible for residents to pass through. But it’s in these summer months that the groundwork is done to ensure perfect conditions come the winter. 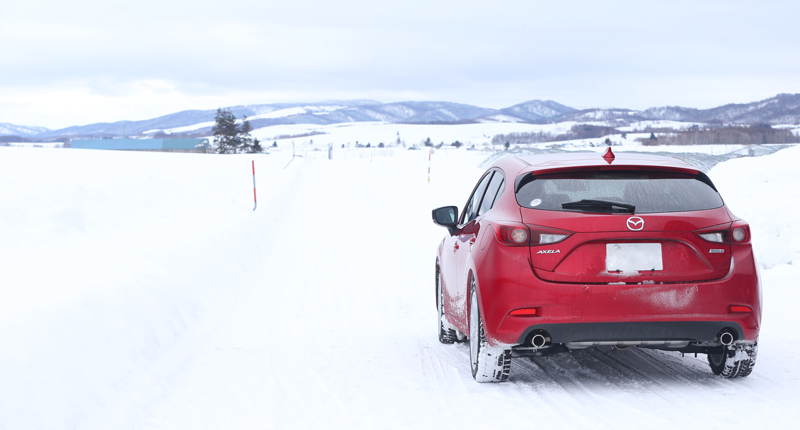 Thanks to this top level proving ground, Mazda’s engineers are able to carry out vigorous tests on vehicle quality in cold weather conditions, running checks on safety features on snowy ground or testing driving performance on melted snow. Together with the people of Kenbuchi town, we have so far been able to roll out the new-generation 4WD system, i-ACTIV AWD and G-Vectoring Control. Every year at Kenbuchi Proving Ground, we’re continuing our research into cars that deliver a pleasurable driving experience for our customers. Whether it’s heavy rain, harsh snow or bad roads, we’ve got it covered.